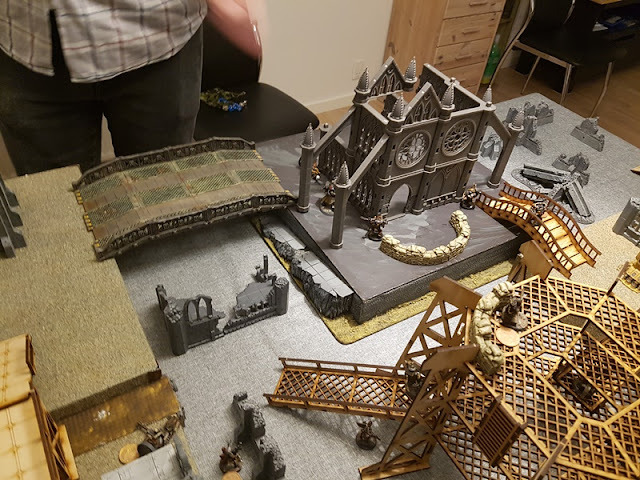 Gamenight last night and we had our first game using the Inquisimunda-ish rules, we thought they were actually working quite well, only had a few minor adjustments. Ammoroll, were harsh but that might have been down to some unlucky dicing. What's your experience with that rule? 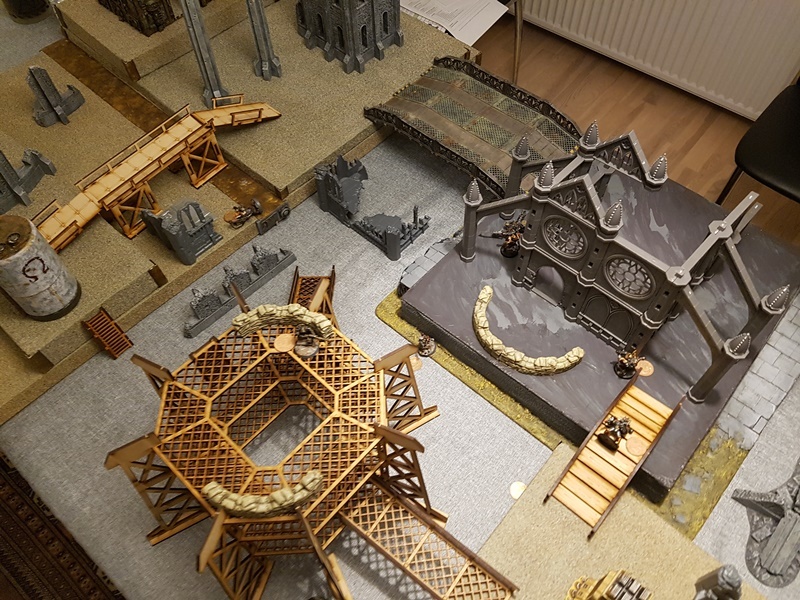 Had two fighter dead though - something of a blow this early to a warband. 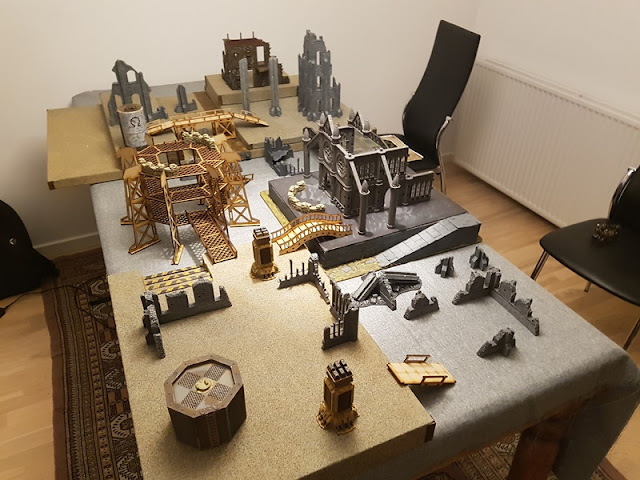 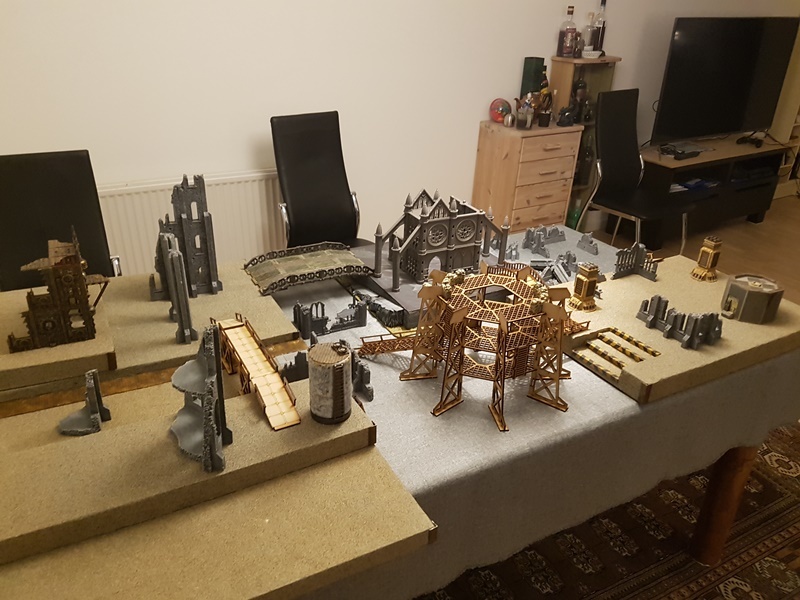 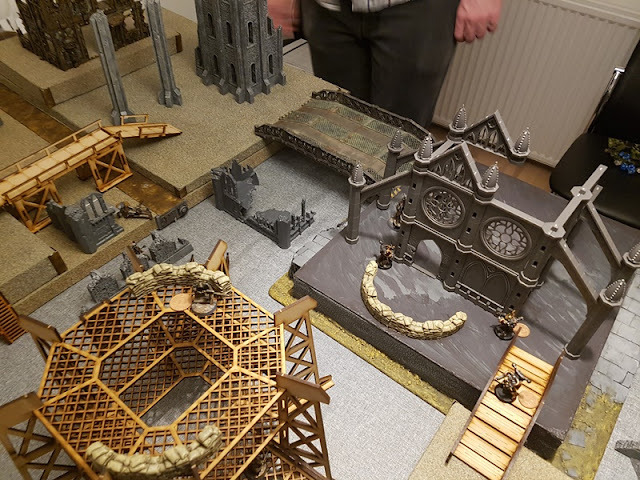 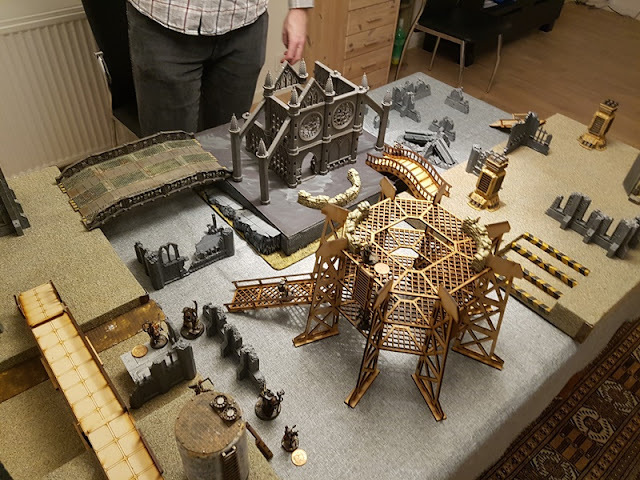 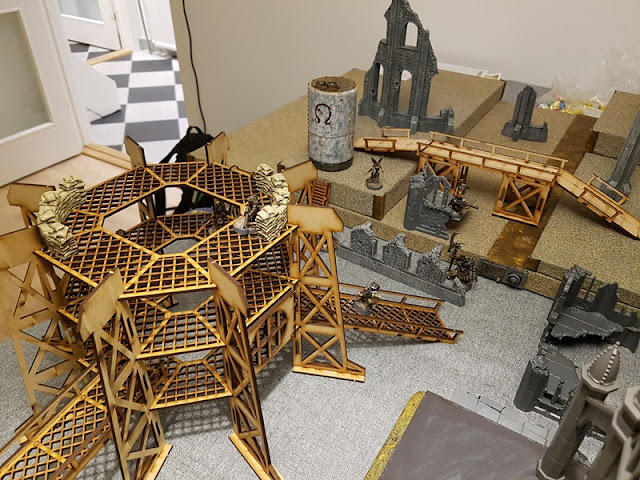 We were lucky enough to get our new MDF terrain in the mail just before the game, and had time to put most of it together. 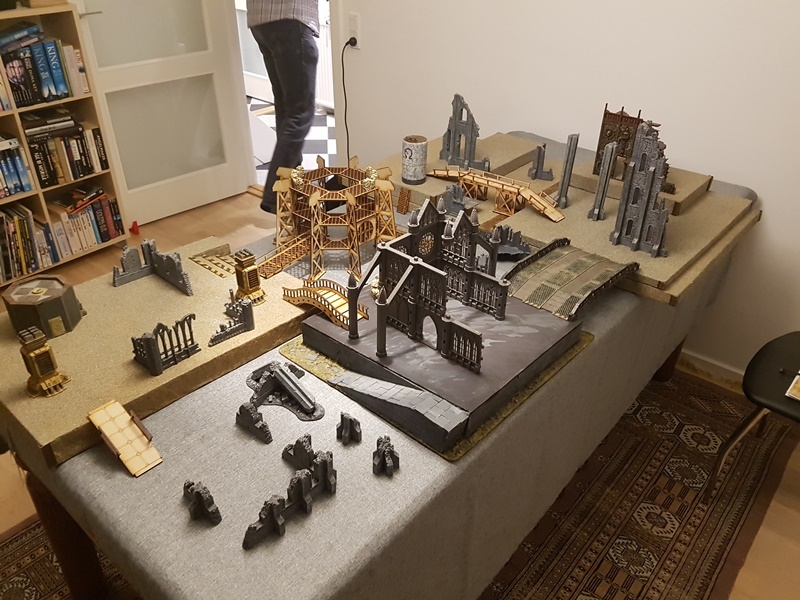 What a treat, very easy put together and very playable - from TT Combat.